Why not join us over the weekend of 21st June to 23rd June for our 18th Steam & Real Ale Festival and help celebrate 10 years of Ale & Steam events on the Gloucestershire Warwickshire Railway? 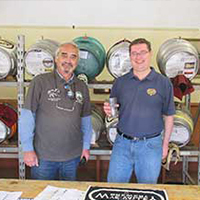 Teaming up with our friends from the North Cotswold branch of CAMRA the first event took place in June 2009 at Winchcombe, with just 16 beers available and proved to be a great success. Since then the events have grown bigger and more popular year by year. The opening of the Tim Mitchell building in 2018 at Winchcombe means over 40 beers and several ciders can now be made available during the weekend, spilt between our two bars at Winchcombe and Toddington! The 2019 event, running over three days, promises to be the biggest event yet! For the first time, as well as Saturday 22nd and Sunday 23rd June, both station bars at Winchcombe and Toddington will be open on Friday 21st June, with an enhanced purple timetable operating. 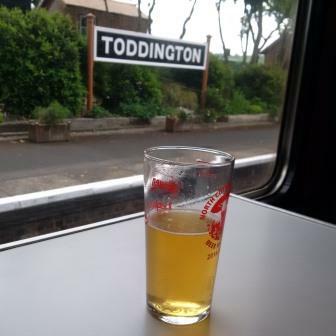 Beers and ciders will be available from both Winchcombe and Toddington stations on all three days! 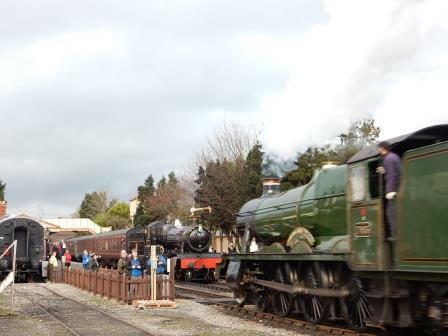 An enhanced train service is expected to operate on Friday and Saturday (click day for timetable) with additional trains between Toddington and Winchcombe throughout the day and late trains back to Cheltenham Racecourse. On Sunday, trains will run to the standard Green timetable. Normal train fares will apply for all three days and tickets will also be valid on the additional evening trains. 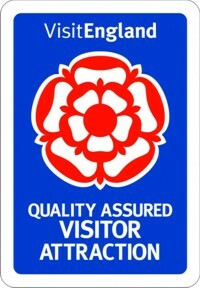 All shareholder vouchers will be accepted. You can save time on the day by buying your all-day rover ticket on-line in advance. Click on the 'Book tickets now' button below and change the calendar to June and then buy tickets for Fri 21st, Sat 22nd and / or Sun 23rd. 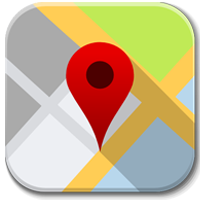 Subject to availability, hot and cold food and soft drinks will be available from both Toddington and Winchcombe throughout the weekend. * Note:- Beer and cider will be subject to availability and not all listed beers and ciders will be available on all three days. 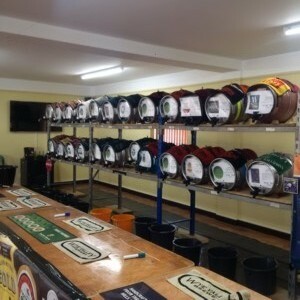 We cannot guarantee a full beer range on the Sunday, but every effort will be made to ensure a range is available. The bars may close earlier if the beer supply is exhausted.